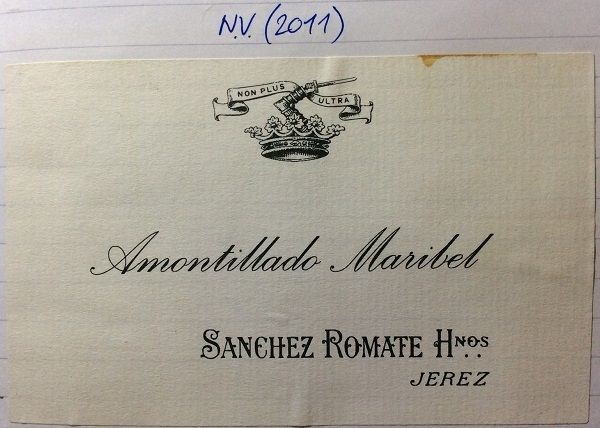 The Sherry Odyssey continues… Another from Romate, and The Wine Society. A pretty good, off-dry Amontillado, very much in the nutty style. Medium-depth copper colour, with a quite even colour grade to the rim. Medium+ intensity nose with a sweet, caramel and nut profile, rather than ‘salty / cheesy’ or ‘woody’. Caramel, praline, sweet cinnamon spice, some hazelnut character, but more in the style of almond marzipan. Some fruit too: caramelised orange, and the odd wood note. Medium complexity. Off-dry to medium flavour, with mango, mandarin and sweet citrus. Nuttiness in the mid-palate, then a drier, spicier, peppery finish. Medium+ finish.